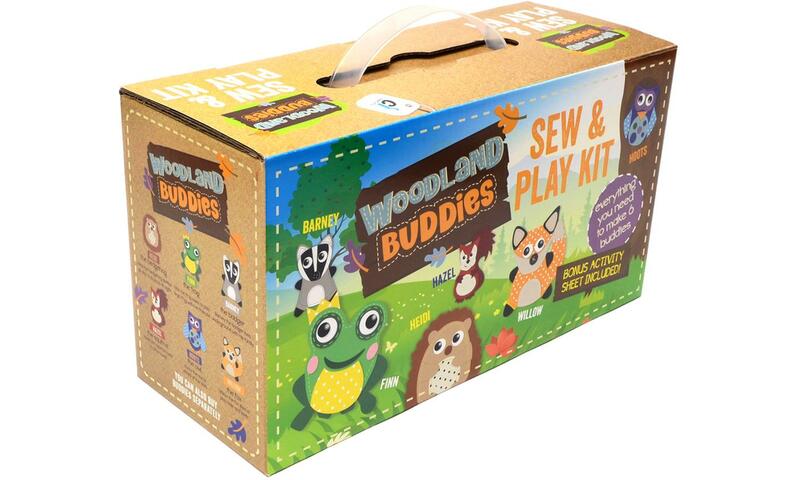 This well-packaged carry case contains everything you need to make six Woodland Buddies. Children will love carrying it around, ready to find a place to sit and make their new friends! Meet: Hazel the Squirrel, Barney the Badger, Heidi the Hedgehog, Willow the Fox, Hoots the Owl, and Finn the Frog. Everything needed to make up these kits is included, together with full step-by-step instructions. Kit also includes a bonus activity sheet. Components of each colourful craft kit includes: felt shapes with pre-punched holes, a safety needle, googly eyes, wool, and stuffing material.